The Italian law 132/2018, known as Interior Minister Matteo Salvini's migrants-security decree, will lead to an increase in the number of undocumented migrants, an estimated 60-70,000 people, with new and serious forms of marginalization, according to the Italian Association of Psychology (AIP). AIP is the scientific organization in Italy with the highest number of mental health professionals and researchers employed by Italian universities. The growing marginalization caused by job uncertainty, poverty and lack of access to healthcare services caused by the legislation, which clamped down on migrants' permits, will lead to an "increase in diseases, psychological distress, psychiatric disorders, self-harm and suicidal thoughts," the association said. The document will be sent to authorities including the president of the Republic and the interior minister. In particular, the document highlighted the risks associated with the elimination, under the new legislation, of the residency permit for humanitarian reasons. It is "so far applied to those who did not qualify for political asylum or subsidiary protection but would be exposed to the risk of inhumane treatment or restriction of freedom in case of repatriation," according to AIP. The consequences, the association said, could be a "drastic reduction in the number of potential beneficiaries of the residency permit and the further weakening of the judicial assistance provided to refugees, as well as the loss of positive integration." AIP said "it is inevitable" that the legislation will also have a negative impact on Italian society at large. "Scientific literature has long shown that conditions of marginalization increase anti-social and abnormal behavior. It is therefore foreseeable that an increase in irregular migrants will raise the level of a social drift, territorial segregation and small crime." 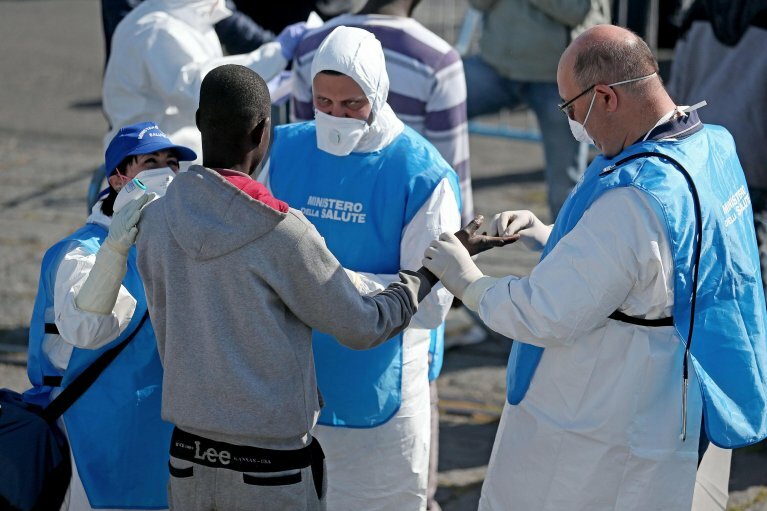 This will contribute in shaping the image of immigrants as a public 'enemy,' "generating phenomena of intolerance, resentment, hatred and growing tension in Italy's society," the authors of the document wrote, warning that media reports "already provide some worrying clues." AIP thus suggested a "radical inversion in the cultural approach" on immigration.